Tomato Mozzarella And Olive Salad is a yummy Italian salad. 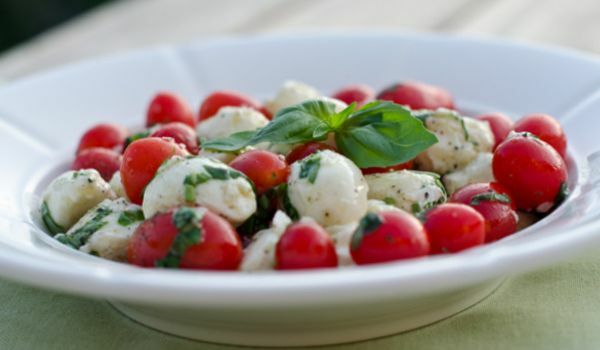 Learn how to make/prepare Tomato Mozzarella And Olive Salad by following this easy recipe. In a serving plate, put together alternate slices of tomatoes, mozzarella cheese and basil leaves. Keep the rest in the centre. Now, add black and green olives to the platter. In a bowl, mix crushed garlic, crushed peppercorns, salt, olive oil and lemon juice and mix well. Pour the dressing over the arranged tomatoes and cheese.